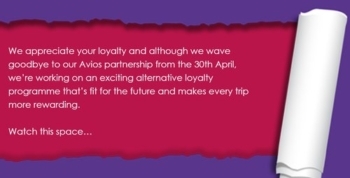 Flybe and Avios announced yesterday that the Flybe / Avios partnership will come to an end on 30th April. The full details are here. This is not hugely surprising, given the imminent takeover of the airline by a Virgin Atlantic-led consortium, although it is arguably a quicker switch than expected. Even if you have never earned an Avios via a Flybe flight, it is important to know that your redemption options on Flybe will be closed off after 30th April. You will no longer to able spend Avios on Flybe. I’m not sure if British Airways Executive Club will be contacting members directly or not. I would anticipate that Flybe will soon start issuing Virgin Flying Club miles. I don’t yet know if the airline will be fully integrated into Virgin Flying Club or if it will remain semi-detached in the same way that Avios and Flybe currently operate. 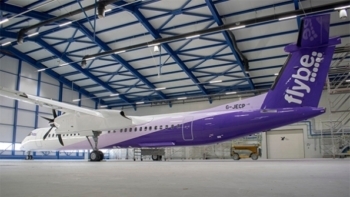 The email sent out by Flybe says “we are actively working on an exciting new programme” which implies it will not disappear entirely into Flying Club. Does the colour scheme used in their email give a clue ….? You won’t earn Avios for Flybe flights after 30th April, even if they are already booked. You also won’t earn Avios for a Flybe flight BEFORE 30th April if the return leg is afterwards. If you have an Avios booking on Flybe, it remain valid. However, you cannot amend it after 30th April. Your only change option is a full cancellation with no rebooking allowed. I see this as a loss for British Airways Executive Club. Whilst Avios redemptions on Flybe were rarely great value, it did provide a lot of options for members who lived outside the M25. The loss of Flybe – when added to the loss of Monarch, Aurigny and Air Malta – means that direct flight redemptions for anyone who does not live near Heathrow, Gatwick or City will be few and far between. You can find out more about the Avios changes on this page of the Flybe website. If Virgin are buying Flybe at 1p per share, I can’t work out why is the current price 4p…. Quite a bit of press coverage on why this is, if you search. You get this kind of thing when shareholders realise they’ve been stuffed! Can’t see they’ll end up changing the 1p, though. Arguably if Flybe PLC sell it’s almost only asset of worth (Flybe Airline) for a pittance, the directors haven’t done their duty. There may be conflicts of interest, business interests or bribes going on as well. I’ve said before, if I was a shareholder I’d definitely be suing the board. Suspect Avios are cutting their loses and distancing themselves from a potentially sinking ship. That is probably going to be the end of my Acios collecting hobby. Over the last few years points have been used for short haul FlyBe flights from Manchester, mainly when we have been taking luggage. I now have 48,000 avios without the realistic prospect of using them for flights, or being restricted to the very limited options from Manchester. Maybe time for an update and re-run of the article about redeeming points from regional airports? On the upside we have Virgin points sitting waiting so fingers crossed for a fully integrated system. Ruth, hop across to Dublin and use your Avios from there. Hubby hates flying so any extra flight is going to mean no holiday at all. Plus with a soon to be toddler extra flights would be a nightmare. Why don’t you open up some more flying options by flying from Heathrow? My old boss was terrified of flying, many a time we found him at his desk on a Monday morning when he hadn’t had enough whisky to go on holiday. His family just left him at the departure gate – they quickly learnt that the best way was to pack all his luggage into two carry-ons so there was no delay retrieving his bags from the hold. When I started I used cards for Avios/flights and continued to pay for hotels. Then I went the other way around and spent points on hotels, paid flights. Now I do a mix of both. Anyway it is never the end, just a little adjustment if targets or strategy. I would guess focusing on hotels is prob better value than Avios on Flybe! Seriously though, use them as an upgrade from LON to PE – or a few RFS for you, hubby and the little one for a holiday – use for business class even to Europe…. (or back to ABZ for fun!). It’s a four hour trip to Heathrow, five hours to Gatwick, 45 minutes to Manchester. It really isn’t worth the bother! If you live in Cornwall (or the South West), Heathrow is often the nearest airport. Same 4 hours as yours only we don’t get a choice! With a toddler you could use the direct BA Cityflyer weekend flights from MAN to the Med and have no issues with availability as you could travel in term time. Though having said that I had no problem bagging 4 reward seats to Nice and back last May half term. For 3 of you it would be 45,000 avios plus £105 in economy with checked bags and F & B included, which is a very decent deal and you have the convenience of direct flights. We were very impressed and hope the service continues. I’m with Ruth on this one. The FT/HFP mindset is relatively unusual compared to most of the public. Most people put far less value on lounge/cabin experience and far greater value on direct routing and easy travel with as little time spent driving or hanging round airports as possible. This applies x10 with small children involved. I’m with Ruth too. I’m surprised that KLM / Air France doesn’t get much mention on here, not only do they cover virtually everywhere in the regions but they offer generous monthly award discounts, as much as 50% in business. KLM/ AF might be OK for LH (ie using Paris/ Amsterdam as your hub) but for European direct SH travel they’re a PITA given the time involved with the change of planes, we’re far better off driving 4 hrs to LHR than 2 hrs to Bristol where KLM/ AF option is concerned. Don’t waste your Avios. What about hotels, car hire, wine, days out? Flights are just one option. I pretty regularly use the Manchester to Milan service using avios which is not only better value than RFS through Heathrow but also takes a fraction of the journey time. This is bad news for those starting out from other than London airports. Is that a Flybe route? Indeed it is. Manchester to Malpensa with sensible flight times in both directions. We also received notification yesterday that the staff discount we have (airport staff at one of FlyBe’s UK bases) has ceased with immediate effect. Looks like they’re tidying up all the loose ends quite quickly. More likely stashing whatever cash they can. They’re clearly hemorrhaging money and trying to claw it in where they can. Flybe has to be small fry to IAG (Avios) just kept around to appease those of us outside the South East. Given the Virgin deal hasn’t gone through yet I don’t really understand Flybe’s arrogance saying they’ll have a club soon. They’ve been promising that for a long time now. If they’re still in business in a year I’ll be surprised. It is a little odd given that the Virgin deal is not legally done. maybe it is but not yet public? Flybe is a quoted company, you can’t complete the sale of the assets without announcing it! Sorry, a bit off-topic, but is it just me who seems to have dreadful offers across my Amex cards or is it everybody? They just haven’t been the same enticing offers since the last 4-6 weeks or so. I have Amex Gold and BA PP cards, main and supplementaries. Yes agreed, AMEX offers are sh1t right now. A similarly OT query about Amex points…is it possible to transfer MR points from my wife’s Gold Amex account across to my BAEC Avios account??? I believe that MR portal requires a “M/F” query as obligatory ? Other alternative is create a HH BAEC A/C and share deducting Avios when booking flights.. Okay tanks…I should say that she is already part of my household account…but that will mean that I can only access a proportion of her avios right?? perhaps she is a he underneath? You must move Avios out of avios.com by 30th April if you avios.com account is linked to Flybe. You can check this my going into My Account and seeing if a Flybe logo appears under the menu. BAEC is the easiest solution. since Flybe added quite a bit of “liquidity” to the Avios search results on BAEC, i wonder if the loss of Flybe will encourage BAEC to integrate Aer Lingus reward flights (rather than having to phone up to book them) ?! Don’t hold your breath. The BA website is already shaky! Plus if you book online we might end up paying more fuel surcharge as it’s cheaper on Lingus now. I am flying with Flybe over the next few weeks. Have got a BAEC account, but no longer have access to my Avios account, which was closed following the transfer in November. What is the best way to earn those Avios, then transfer them to my BAEC account? You can’t. If you don’t have an active Avios account you can’t earn. Flybe don’t allow BAEC to earn in their flights. OT: I have spent over £1000 on my Amex SPG credit card, the bonus points not due to post till end of Feb. If I cancel the card now would amex still award these points? Thanks. I always wait until the points have been paid to Marriott (about six days before statement date). Also make sure that you owe £75 when you cancel as they will refund the annual charge pro rata and you do not want the hassle of a credit balance.